Why am I telling you this? Is it really worthy of a blog post? No, probably not. But I’m borderline giddy at some of the gifts I received this Christmas, so go ahead and indulge me, huh? In no particular order:hat brings a childish sense of glee to a sports fan. Brownie points for the girlfriend! With my James Loney jersey rendered useless when the current Tampa Bay Ray was sent to Boston last season, I was down to zero relevant Dodger jerseys. Absolutely unacceptable. And with the influx of money through the new ownership, Kershaw should be a Dodger for life. Win! What are better than brownie points? Chocolate cake points? Because along with that jersey came an authentic, autographed picture of Kershaw delivering a pitch (undoubtedly a strike…) from his left arm. Sports fans LOVE getting autographs – even if it’s one in 100, it feels like one in a million. When you truly love a sports team, knowing everything about them becomes priority. I consider myself an expert on the Dodgers already, but this will only make me more knowledgeable. And the old-school, black and white pictures will give me even more respect for my team’s history. A nice blue Dodger cap and a 49er football that lights up a snowman’s face when turned on? Yes, please! Ornaments are a Christmas tradition, and no matter how juvenile or otherwise-useless they may be. With the exception of May 2013, every month in the ballpark calendar my sister got me absolutely rules (AT&T Park represents that horrid month). It even has old-school Ebbets Field, home of the Brooklyn Dodgers. I don’t usually use calendars, but this one will be run ragged. Okay, so I got this one myself. I couldn’t help it! I’ve been wanting the greatest bobblehead in bobblehead-related history since it came out in the middle of this summer. Now, I finally own the 1988 World Series Game 1 bobblehead of Kirk Gibson, rounding the bases with his bobblearm fist-pumping away. Totally, awesomely worth it. Sorry it’s taken so long to get to this point – all good things are worth waiting for though, right? That’s a saying, no? Whatever, it is now. We’ve finally reached the pinnacle of all that is good in the land of unique sports. Today, we pit the strange Asian/Middle Eastern sport of Kabaddi against a suburban wunderkind combination sport in Phasketboot, to determine the best “weird” sport in the world. Because Jam Shots is clearly the authority on something like this. Regardless, I hope you’ve enjoyed my faux tournament and learned a little bit about some weird-but-awesome new sports along the way. In a trail of upsets that only George Mason can match, this Cinderella-story 8th seed is worthy of a Hollywood script. I’ll admit it – I didn’t like what I read about Phasketboot originally, and really had no idea how the game was played. I ranked it low, expecting it to bite the dust early. But on its way to the title bout, Phasketboot defeated heavy favorites in Curling, Fistball and Bossaball by wide margins. You can thank the sport’s loyal legion of fans on Twitter for that progress. You can also thank them for finally making sense of this mystery sport. Check out the awesome video they sent me here, and bask in the glory that is a hybrid of basketball, football and ultimate frisbee. The best part? All you need is a driveway, basketball hoop, and a football. I was also surprised to see Kabaddi squeak out a victory in the semifinals over one of my new personal favorites, Chess Boxing. On its impressive path of destruction, Kabaddi also claimed a number one seed, the Olympic sport of Slalom Canoeing. Now the strange sport finds itself up against the darling of the tournament, at a loss for momentum. Will seeing this video again turn the voters in Kabaddi’s favor? The rules are still fuzzy, but I’ve been told that in between tagging, tackling and jab-stepping comes some breath-holding and ritual chanting. If that’s not the coolest mix of the 5th-grade playground, the XFL, Streetball, scuba diving and being in a cult…well then I don’t know what the heck is. Let your voices be heard, people. Vote early, vote often, and vote for which “weird” sport you want to see crowned the best of them all. It’s been a long road and I thank you for your undying support. Don’t forget to keep tuning into Jam Shots for a weekly dose of sportsaholism. You can follow me on Twitter @Jamblinman! 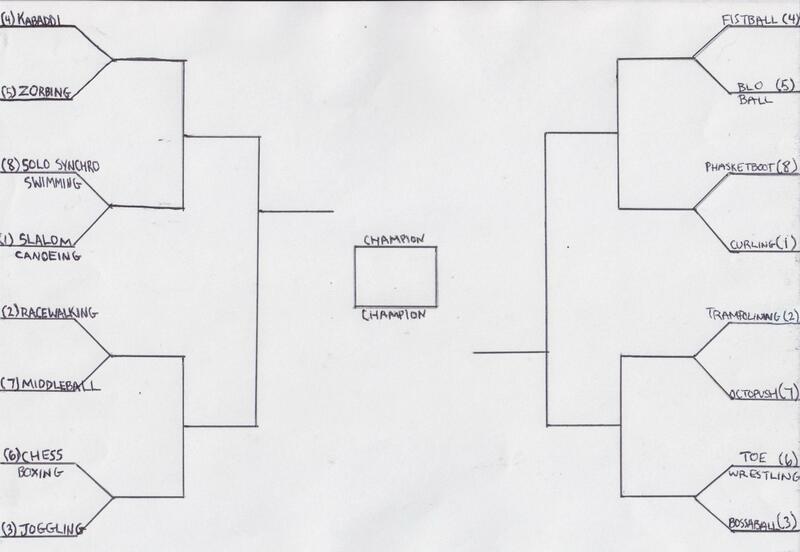 You know the drill by now – this is a very formal online tournament to determine which “weird” sport is the best one around. I chose 16 unique sports (i.e. Curling, Racewalking, etc.) and seeded them in two conferences, one through eight. 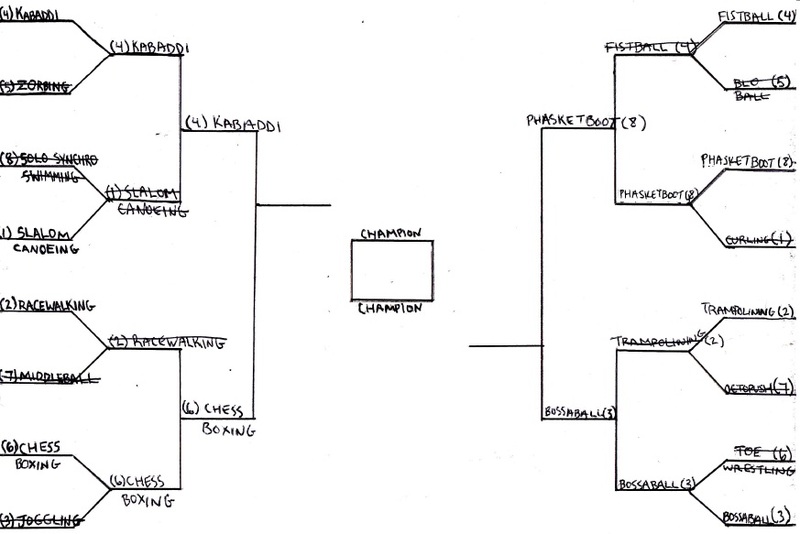 Since then, I created a bracket, put descriptions of the sports down in the blogosphere and let the public vote. After two rounds, we’ve reached the Final Four. These left standing are the four best, unknown sports out there, as determined by YOU. 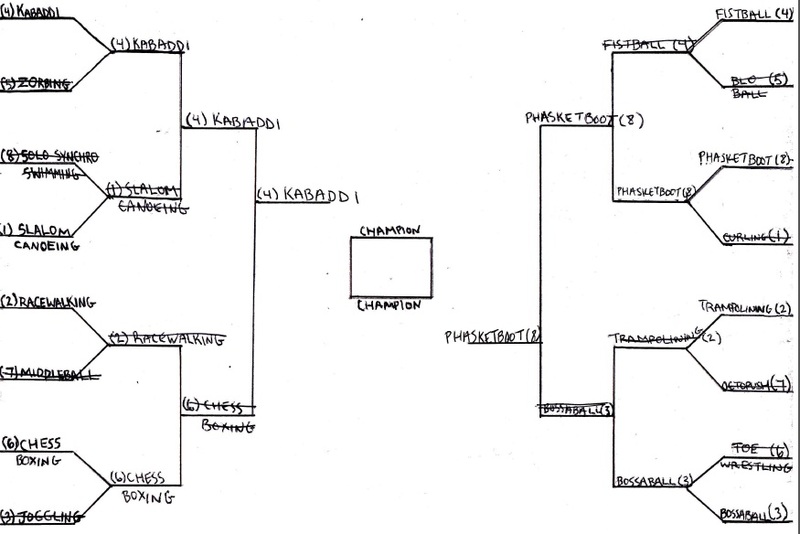 The strange sport of phasketboot (apparently a hybrid of football, basketball and ultimate frisbee – I have no confirmation on this because videos don’t seem to exist online) has a strong fan base voting for it and has reached the semifinals as a number eight seed. My two number-one seeds and personal favorites have been upset (curling and slalom canoeing), so only underdogs remain. And away we go, with two more match-ups to determine the best “weird” sport. I’ve broken them down below, but it’s up to you to vote again. Let’s get this thing rolling! I’m entirely surprised that Kabaddi, a sport that allows for tagging, tackling, chanting and breath-holding, upset the badassery that is slalom canoeing. But I digress. Check out the video of a Kabaddi match and tell me you’re not intrigued. I still don’t fully understand it, but I can’t stop watching. In the other corner (see what I did there? ), we have chess boxing. When I stumbled across this sport in my original research, I knew it would go deep in the tournament. 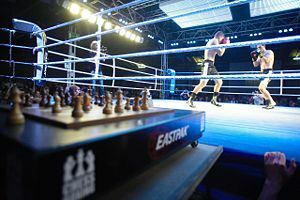 What else would I expect of a sport that combines the most physically demanding contest in boxing, with the most mentally draining contest in chess? You have to be an exceptionally smart, tough, strong person to even consider dabbling in chess boxing. As I mentioned, phasketboot seems to have an unusually large legion of fans in the social media world. For being a sport that is so hard to understand from an outside standpoint, it must be pretty awesome when really played. Check out the basic rules HERE, and if you understand it, let me know. Even though phasketboot has already upset the number one and four seeds, bossaball might be it’s toughest competition yet. 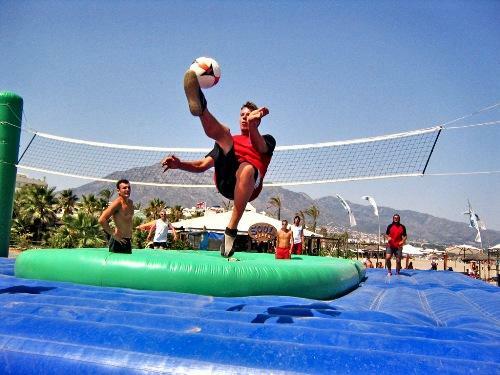 Bossaball is essentially a combination of volleyball and soccer, except it’s played on a bounce-house court with trampolines on both sides. No matter what happens in this match up, I promise you the first “weird” sport I’m trying from the whole bracket will be bossaball. Too cool. Have your say in the polls above. After the votes are tallied (Monday afternoon), I will announce the two finalists for the title of Most Awesomely Weird Sport. There will be no trophy; I apologize. Keep it tuned to Jam Shots to see who moves on, and faces off in the championship bracket. If you like what you see, please follow the blog by clicking on the button in the upper right corner of the home page! You can follow Jeremy on Twitter @Jamblinman. We’re back! After a surprisingly high voter turnout in Round One, we are officially moved on to the Elite Eight of the weird sport bracket! For those of you that are just tuning in, here is what we have going on. This is simply a testament to the fact that outside of the worlds of baseball, football, basketball, soccer and hockey, there are some pretty badass sports. We may not know of them or appreciate them, but the skill it takes to play a game of fistball or take part in a curling match should not go unnoticed. That’s what I’m here for. Among the surprises of Round One were a very high amount of support for the number eight seed Phasketboot, which was one of my original least interesting choices. Hence, the lowest ranking. But for the first time in weird sports tournament history, a number eight seed has upset a number one seed, and the pre-tournament favorite has been ousted. Even though everyone knows curling is the greatest weird sport out there, it got too cocky and was sent packing. I have to give props to the Phasketboot fans out there for coming out strong in the polls. Again, two pretty safe bets to move on. 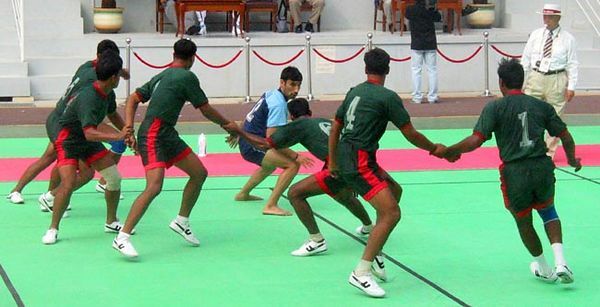 Kabaddi is very, very strange and requires a lot of strategy, quickness, teamwork and…lung capacity? Is it a weird enough sport to upset my personal favorite, slalom canoeing? If you missed the Olympic competition, check out this video. It’s hard enough to maneuver a canoe in that amount of white water, let alone through a slalom course, let alone having to go back upstream through the gates on every other one. Here is that Cinderella story, Phasketboot. I’m still not entirely sure how the game works, but I’ve been assured by its legion of fans that it makes sense and is sensationally fun. I’ll believe it when I see it – for now, I’m sticking with fistball, the long-distance version of volleyball in which you can only use your fists, and have to allow the ball to bounce once on each side before hitting it. I have a feeling this match-up won’t even be close. Believe it or not, I think bossaball will sail into the semifinals. Both sports utilize a trampoline, but bossaball also includes a blow-up court and a volleyball net. Not to take anything away from the Olympic competition, because I’m sure the moves they do are very technically difficult. But give me a ball, a net and a bounce house any day. I’ll set the deadline for this round of voting for Saturday afternoon, November 3rd. When the votes have been tallied, we will have our Final Four and will be one step closer to determining the best weird sport in the world! Because I am totally the authority on these things. Apparently. Just vote! I’ll see you next time. So I love sports…I can’t always explain why or how, but I just do. Always have. I thirst for the competition and camaraderie that comes with a game like soccer. Or the strategy and technicality that comes with baseball. The physical insanity that is demanded of football and basketball players. But there are a lot of strange sports out there too – we all know about curling, trampolining, etc. These are “weird” sports, sure. They are also in Olympic competition, an honor not bestowed upon many other fantastic, awkward sports. For example, have you heard of Blo Ball? It consists of a ping-pong style set up, and instead of using paddles, the two players blow the ping pong ball back and forth and try to get it past the other. It’s a really stupid mix of ping pong and air hockey. And it’s awesome. This is where you all come in. I need your help. If it was up to me, I’d end up just letting curling take the title because I think it’s so freakin’ cool. To avoid my own personal bias for the great shuffleboard-on-ice, we’re putting it to a vote. 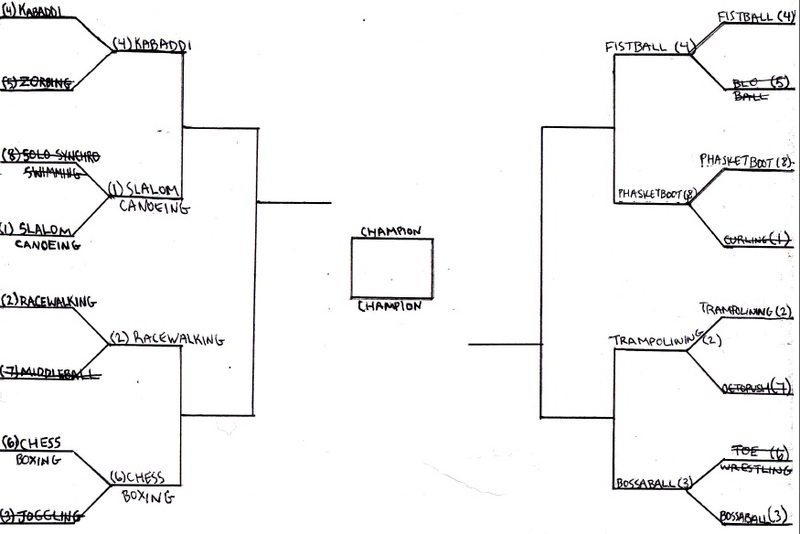 Let me break down the first round match ups, then tell me which sport should move on to the Elite Eight! Hang with me here. The first round is always the longest, but you have nothing better to do any way! Believe it or not, both of these sports were represented in the Olympics. I was absolutely transfixed by slalom canoeing this year, mostly because I’ve worked at a whitewater rafting company for half a decade now. What they do is a timed slalom course where they go through gates and race for the fastest overall time to the end. The catch is they have to go through every second gate upstream, and are penalized for touching any of the gates – check it out here! And no, you didn’t misread that first one – there is such a thing as solo synchronized swimming. The fact that it’s called that was reason enough to give it an 8th seed, but when you watch the video the ridiculousness is just multiplied. What do you get when you combine volleyball, a beach ball and a racquetball court? You get middleball. That’s really all it is. Have fun playing with your grandparents! This is a tough match up against one of the most unique but hilarious sports out there. The Olympic sport of racewalking. It gets a number two seed just for being hilarious. The reason I initially seeded joggling as the higher of these two is because I had the idea in my head that it was super awesome. Then I looked it up. It’s kind of funny, but mostly just a snoozer. It does take coordination though. But you’re telling me that the most mentally draining sport in the world, combined with the most physically demanding isn’t more awesome? Because I just defined chess boxing for you. Absolutely crazy! Another disappointing one for me was Zorbing. Don’t get me wrong, it looks like a ton of fun. But is it really a “sport?” You basically just get in a big, plastic bubble and roll down a hill. At least Kabaddi has some strategy and teamwork involved. It doesn’t get much weirder than a sport that requires you to hold your breath and chant the name of the game. I still don’t really get it, but Kabaddi is just strange enough to possibly move on. I feel bad for Phasketboot lovers. All nine of them. It’s a very strange made-up game, but it’s also very stupid. It didn’t stand a chance to begin with against curling, the king of weird sports. Phasketboot is advertised as a hybrid of basketball, football and ultimate frisbee – but it’s mostly just confusing. 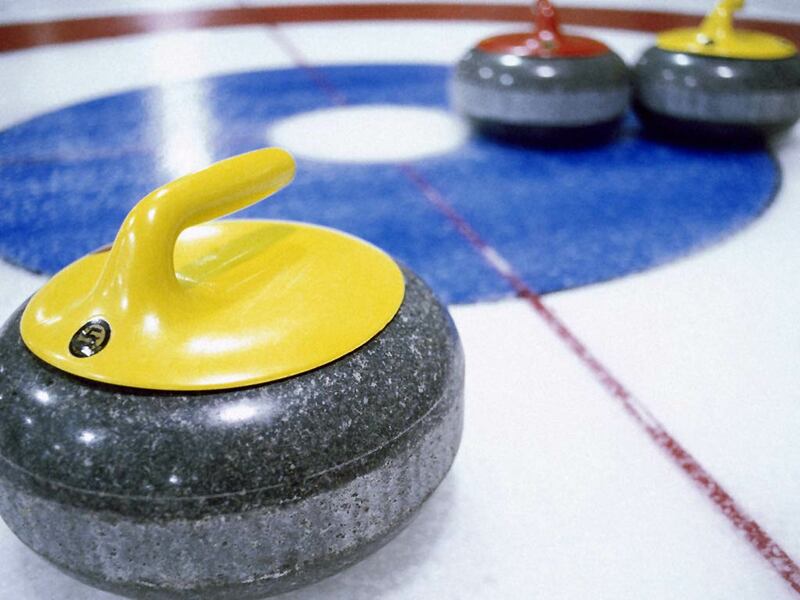 We all know what curling is, but check out this video anyway! Octopush (a.k.a. Underwater Hockey) gets bonus points for having a cool name, but it’s going to be a tough match up against the Olympic sport of trampolining. As cool as it sounds, octopush really just combines snorkeling with underwater field hockey. I can’t help but laugh at the little sticks they use, either. Check out this synchronized trampolining routine I found – straight insanity! Seriously? Who likes feet so much that you’d be willing to take the career path of a professional toe wrestler? This one smells funky to me (it’s the same thing as arm wrestling, just with big toes). On the other hand, Bossaball is freakin’ awesome! The whole point of bossaball is to spike the ball in a three-point zone. It’s an inflatable volleyball court with trampolines in the middle. Just…just watch. And be amazed. I detailed Blo Ball in the introduction, but here’s a video for you. It is as weird as it sounds, yes. Fistball intrigues me. That’s totally something I could play with my friends in a park, as long as we have a volleyball net set up. It’s basically long-distance volleyball using only fists, and the ball is supposed to bounce once. Check it out here. Okay, adoring public. It’s up to you! Tell me who moves to the Elite Eight, and I’ll have the next round blogged up and ready to go as soon as I get some results. The worst part of the first worst day of the year is that it comes two days after the second worst day of the year. So today is technically worse than Monday in my world. But we’re talking about number two. I don’t think I can handle number one. No, I didn’t get fired or dumped. No, the Dodgers didn’t lose (in fact, the National League won the All-Star Game…so THERE!). No, my pets’ heads aren’t falling off. But Monday was one of two calendar days the entire year that no MLB, NFL, NBA and NHL games were scheduled. None. Zero. I…nearly cried. I don’t even really watch hockey. But if it was on, I would have made an exception. Instead, I was stuck with the always-entertaining Home Run Derby that had as much significance to the 2012 baseball season as the Pro Bowl has on…life. And stuff. Tonight, I had the ESPY’s as an option. Thankfully, it was my father’s 87th 57th birthday…so I got out of the house instead of watching a glammed-up popularity contest. But do you know how I felt turning on MLB Network only to see fluff and replays of ancient All-Star Games? Or turning on Sportscenter to find cricket as the lead story? That was about apocolyptic as it gets for someone like me. Taking sports away from me is like stealing a rattle from a baby. A bone from a dog. A joint from Tim Lincecum. The sports gods took away the thing I’ve loved my whole life and left me hopeless, cold and alone. Have you ever watched one of those awful documentaries about drug addicts having withdrawals and recovering in rehab? That was me. Scratching at myself, shivering, foaming at the mouth. It was really uncomfortable. Technically there was ONE game tonight. Real athletes in real uniforms playing a real sport in a real stadium in front of real fans. But it was the MLS and it was two Canadian teams. Luckily, I have great friends and family to pull me through rough days like this. My girlfriend and one of our close friends (through the MLB Fan Cave process, naturally) had a perfect remedy for my illness. No baseball, football, basketball, hockey, curling, darts, poker, Bolivian shuffleboard or even NASCAR on TV? No problem. Because I went to a Minor League baseball game. Thanks for pretending you’re surprised. I use the term “we” loosely. As much as I hate to admit, I’m no longer an athlete. Unless throwing a dog toy in a game of fetch qualifies as a professional sport these days. That being said, I do still have the mentality of an athlete when I watch my favorite teams play. So I can understand what’s going through most of their heads, just on a much smaller scale. And this blog is therefore dedicated to the people that can’t understand. The people who never cared for sports. The ones who don’t realize what winning a championship actually means. So why do we do it? 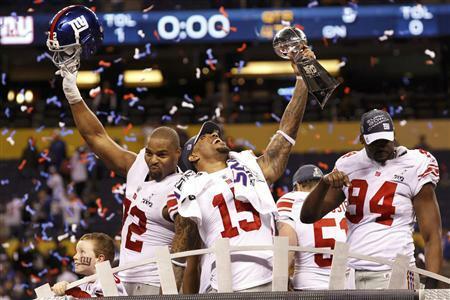 Why do athletes dedicate days and months and years to becoming the most physically fit, knowledgeable, intimidating players in their respective sports, just for the chance to hold a shiny trophy amid a sea of confetti? I wish I could tell you it was simply the desire to be the best. To conquer all, and stand on top as a member of the best team at (insert sport here) in the world. But there’s much more to it. At every level of sport, your body and mind go through amazing transformations as you exhaust them all day, only to be put to rest at night and yanked awake in the morning for the same grueling routine. And imagine being Ernie Banks. Or Charles Barkley. Barry Sanders. Guys who did it at the highest level, yet never had that ultimate glory of victory. Was it a lifetime of preparation and practice wasted? Not even a little bit. While never winning the big one would surely be bittersweet, athletes thirst for the competition. They compete because they love playing their sport. Being an athlete is essentially the same as being a singer, actor, writer, lawyer, executive – you strive to be great every day, oftentimes in competition with others. Monetary reward is fantastic, but in the end, in typical heartwarming fashion, everyone competes for the thrill and the self-fulfillment of a job well done. Nothing exemplifies the way athletes feel about that pursuit of victory better than this slow-motion screen shot of LeBron James hugging the NBA Finals trophy for the first time. Finally. I don’t think anything will ever portray the feeling better. For people dismissing LeBron and that “just one championship” don’t understand how much is put into winning that shiny golden ball. Everything described above, plus pitting himself against the best athletes in the world both mentally and physically, on the largest stage imaginable…and winning? That is the epitome of victory, and it’s exactly why we play sports. My name is Jeremy (Hiiiiiii Jeremyyyyyyy…) and I have a problem. I am addicted to sports. And I’m not talking the occasional hit behind the bleachers at lunch during high school. I’m talking breakfast, lunch and dinner. And I won’t make any apologies about it. I will ditch an intervention and go down swinging if anyone wants to take me to rehab. Sports have always been a huge part of my life, and it’s a chunk of me I refuse to lose. I’ve had my own personal blog, filled with mundane stories of traveling the world, or the daily questions I bother myself with (Why did Bob Marley spare the Deputy? Why did Emma Watson cut her hair? Why doesn’t EVERYONE wake up to The Circle of Life ring tone?! ), and the occasional sports quip. But here’s a place, away from my glamorous, unpaid position as a Major League Baseball Featured Columnist for BleacherReport.com, where I will shamelessly relapse on my sportsaholism every…single…day. I will do it my way. And you will read it. And you will like it. Starting Monday, January 23rd, 2012 I will grace the pages of this blog with my wisdom, hilarity and insight once a day. I will discuss the biggest sports stories of the past 24 hours, even if business is slow and I’m only left with the “sport” of NASCAR to talk about. Not that it matters – the world is ending in 11 short months. But until then, your final days will be filled with my writings. I apologize in advance. No I don’t. You are feeding the fire and it burns so good. Follow this blog if you enjoy the rhymes I’m spittin’ and please feel free to engage me in a fierce debate in the comments section. But I must warn you…I bring the pain. For now, enjoy the greatest catch ever made. See you soon.